Successful Creativity is a fundamental principle at Huber Engineered Woods. We search for new ways to solve problems. We never settle for the expected or accepted norm, and always search for methods that will help us deliver the highest quality products and service possible. It's a different way of doing business. Not just innovative thinking, not simply maverick approaches, but creativity that makes a difference. With a dedicated R&D Group, we develop products to solve specific problems and to meet specific customer needs. We operate under a philosophy of continuous improvement in quality products, and value customer input, seeking their ideas on product enhancements or new products needed to fill market voids. Imagine a company that consistently surprises its customers with innovative products, yet keeps those products affordable. People want to do business with a company they can trust to help them resolve problems and deliver on their promises. 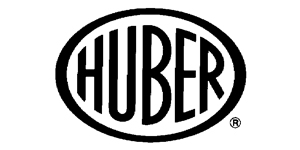 That company is Huber. Want more information on Huber Engineered Woods? We can help. I am interested in learning more about your Huber Engineered Woods products and services.